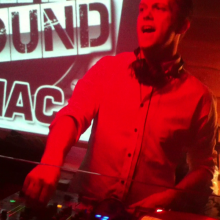 Phil Mac is an Irish producer and DJ based in London. Phil has been producing music for over 20 years. Phil’s parents are musicians and he grew up submersed in music classes, choir rehearsals and musicals. Learning piano was mandatory in the Mac household and Phil soon started writing his own music. Computers changed everything and Phil starting writing his own tracks and learning the art of production. With 90s dance music at it’s prime, Phil was flipping between Prodigy records, playing old Al Jolson songs on the piano and tinkering with production. In 2004 Phil moved to London and after picking up a Fabio and Grooverider compilation got completely hooked on Drum and Bass. This started a 5 year journey into developing the skills required to produce top quality Drum and Bass. Phil sought to become a production master, learned every technique possible and attended master classes from greats like High Contrast, Danny Byrd, David Carbone and Lime (SL2). This culminated in Phil producing a number of underground D&B classics played at parties worldwide and championed by the likes of D&B legend John B. After 5 years it was time to try something new. While crate digging in Camden in search of new influences Phil came across the first Electro Swing compilation compiled by Bart and Baker. This was a life changing moment, the title said it all, a mix of old and new that was fresh and fun. Phil was hooked and started writing his own Electro Swing tracks and giving them away on soundcloud. Now 4 years later Phil has amassed a large following with classic tracks like Swing That Music being the cornerstone of Electro Swing nights worldwide. Jeanie is a singer/songwriter based on Nottingham and London. 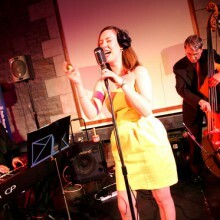 Having studied jazz harmony at Morley College in London and improvisation with BBC Jazz award winner Anita Wardell, Jeanie cut her teeth as singer & compere for bebop pioneer Laurie Morgan and his trio, fronting their famous North London weekly gig, Downstairs at The King’s Head in Crouch End for over a decade. Jeanie has performed at The Jazz Cafe, The 606 club in Chelsea, Ronnie Scott’s and The National Theatre, as well as a cruise on the Seine in Paris. 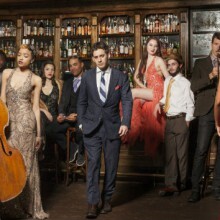 Viral YouTube sensations Postmodern Jukebox have taken the online and offline world by storm, racking up greater than 100 million hits on YouTube and now taken to touring the world. Their music re-imagines modern hits using timeless classic styles. Phil remixed Postmodern Jukebox’s take on Guns N Roses Sweet Child O’Mine to celebrate their reaching 100 million hits on YouTube.